Jesse is as frugal as they come and is always experimenting with new methods of getting better bargains. He wants to help you do the same. You don't have to pay up to $20 for a digital movie code. In fact, you can usually get any movie that is digitally available for less than $5 and in some instances free. You can watch them anywhere an internet connection is present. You don't ever have to worry about them getting scratched or broken. You don't have to worry about losing them. You don't have to worry about them being stolen or borrowed and never returned. You don't need extra space in your home to store them. You can watch them on any device that is connected to the internet. They are sometimes released earlier. Before using the methods I am about to show you, you first need to have a place to store all of your movies. All you have to do is open a Vudu account. Vudu is the largest digital movie database and is free to use as a library. You can also purchase digital movies on Vudu, but the price is a little steeper than the alternatives I am about to show you. To open a Vudu account, visit Vudu.com or click here. 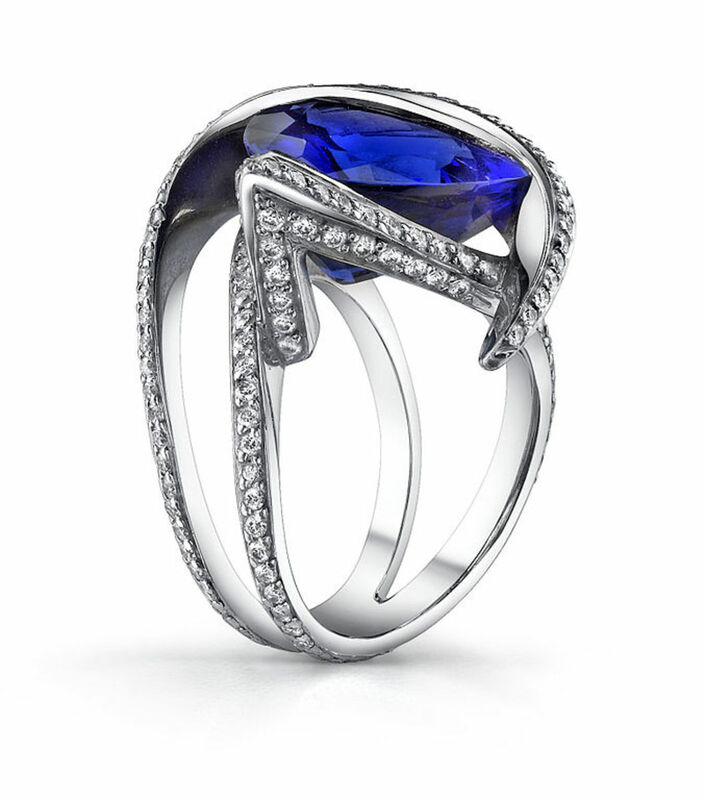 If you have heard of Listia before, you are probably aware that is is an auction site of sorts. The first thing I want to tell you is to ignore all of the posts or videos you may have seen, bashing Listia for being a big waste of time. People that post that fraudulent information are either lazy or have never used Listia to it's potential. If you are expecting to be able to click on a link in a website and instantly get something for free you are grossly misinformed. Hardly any site offers a free product without some form of effort required. Now that I've stated all of that, let me show you how Listia works. There is no actual money ever transferred from the winner of a Listia auction to the person that listed the item, but rather Listia credits. 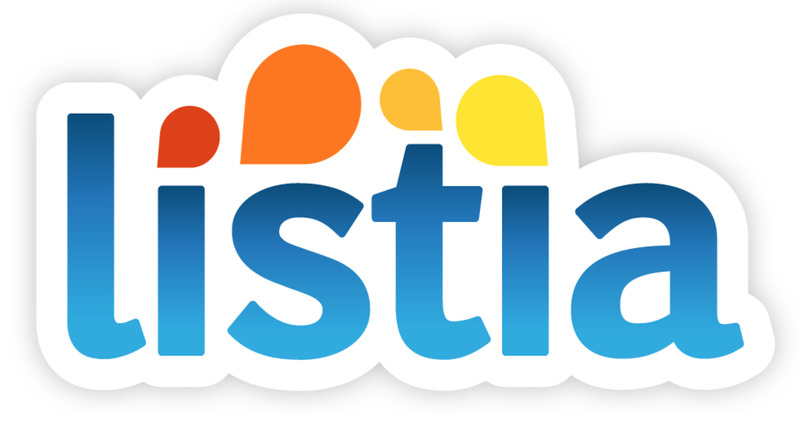 Simply stated, Listia credits are a form of virtual currency that is compared to actual real-world currency by using metrics from past sold and currently listed items within Listia's site. 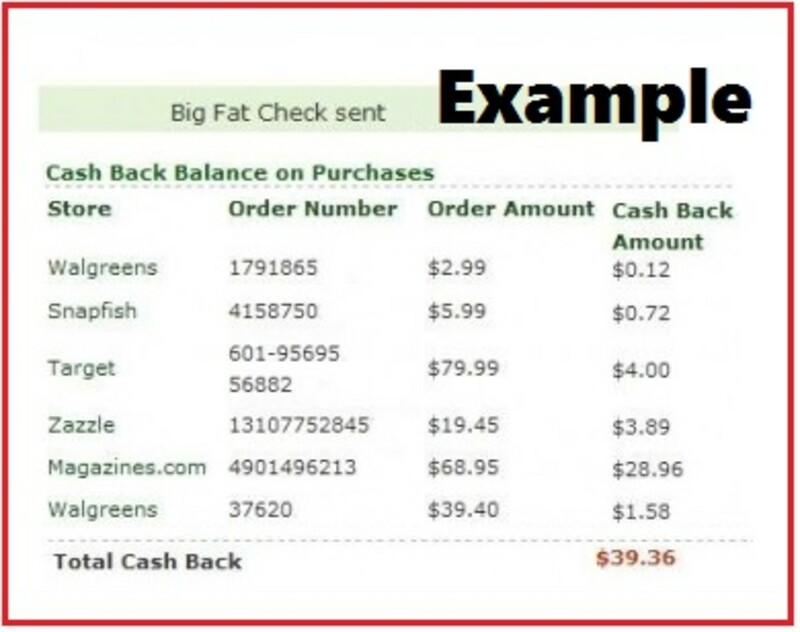 Since Listia credits are technically not real money, you are able to buy codes and coupons and bypass certain laws against doing such. The reason these laws don't apply to Listia credits is that you are technically trading in your merchandise or time for credits which you then trade for a different item of your own desire. Long story short, you are trading your item to another member of Listia via a middle-man. I could go further in depth about Listia credits and may write an article at a later date, but for now, this is all you need to know to get free movies on Listia. If you sign up for Listia, there are different methods of acquiring credits. 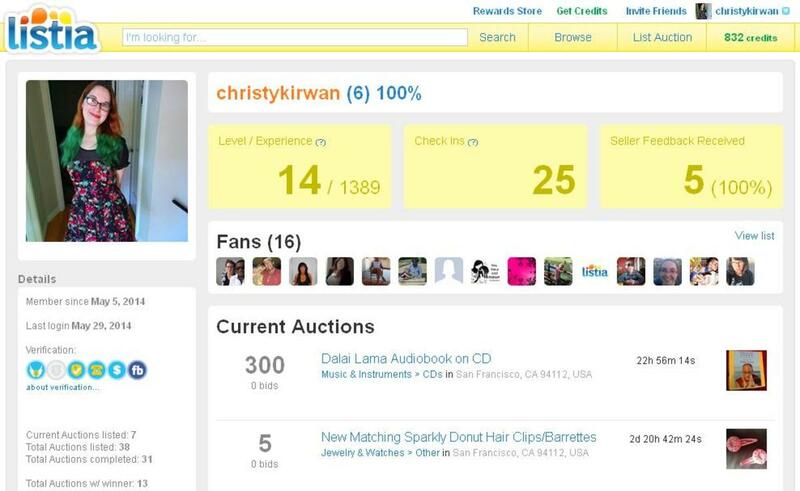 You can watch videos, complete surveys or offers, or sell an item of your own to earn credits. If you have something lying around that you don't need or want and can ship at a reasonable cost, try listing it on Listia. You won't get real money for it, but you can easily build up Listia credits to trade for items you do want - in this case, digital movies. If you're worried about having to pay for shipping, Listia does allow you to charge the auction winner for shipping if you desire. To be able to charge for shipping all you have to do is link a PayPal account to your Listia profile. Digital movies on Listia usually start as low as 35,000 credits but can go as high as 1,000,000 credits. However, most movies can be purchased for less than 100,000 credits. Now I know your thinking that 100,000 credits sound like a lot. Well, it's not. 100,000 credits are equivalent to about $4. The dollar value of credits does fluctuate on a weekly basis, but, for a while now, approximately 25,000 credits has stayed around the $1 mark. Trust me, it is easy to build up to 100,000 credits by just watching videos or completing a few offers - I have done it. If you want to sign up to Listia go to www.listia.com and fill out the sign-up form. It takes only a couple minutes. Another great site I stumbled upon one day while looking for ways to get cheap digital movies is Ultraviolet Cinema. Ultraviolet Cinema is like Expedia for digital movies. 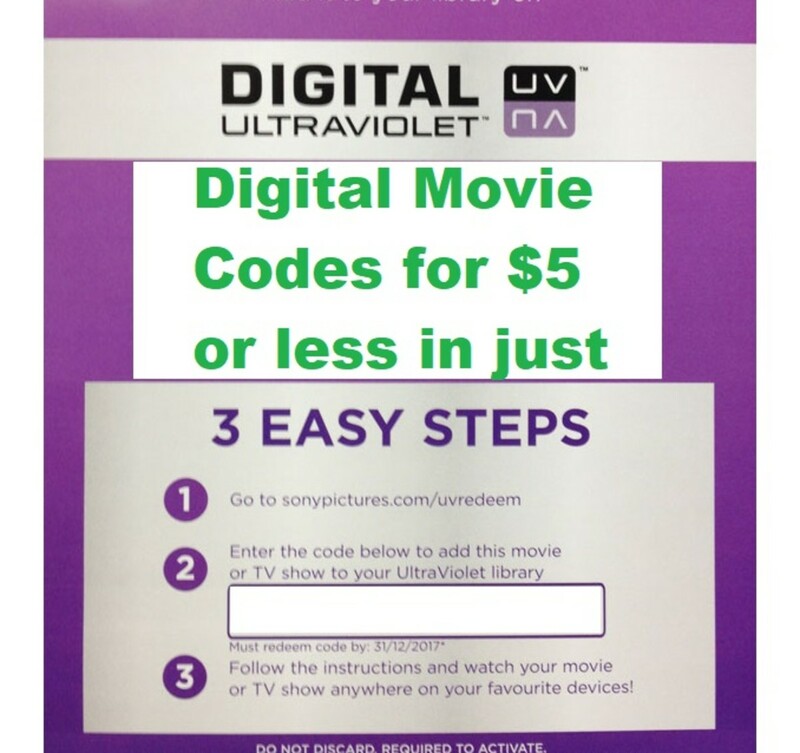 Most movies on Ultraviolet Cinema can be purchased for less than $5 and in some cases as little as 99¢. 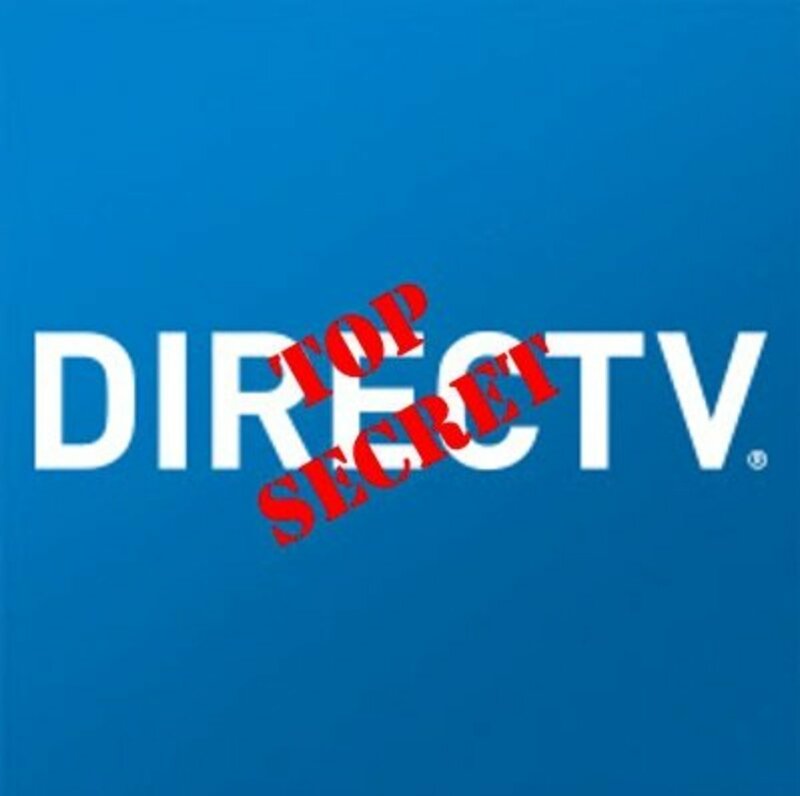 They offer digital movies or tv shows in HD and SD format in the form of Ultraviolet codes, Google Play codes, or Itunes codes. While some newer released and Disney movies will still be around $10, if you wait for 2 to 3 weeks the price usually drops down to the $6 range and lower as time passes or popularity surrounding that movie decreases. You don't have to sign up or have an account to shop on Ultraviolet Cinema and any payment you make is usually through a secured PayPal checkout. If you are interested in this method of obtaining cheap digital movie codes, you should also know about a couple other features of this site. If you are like me, you want to get your movie as soon as you can. 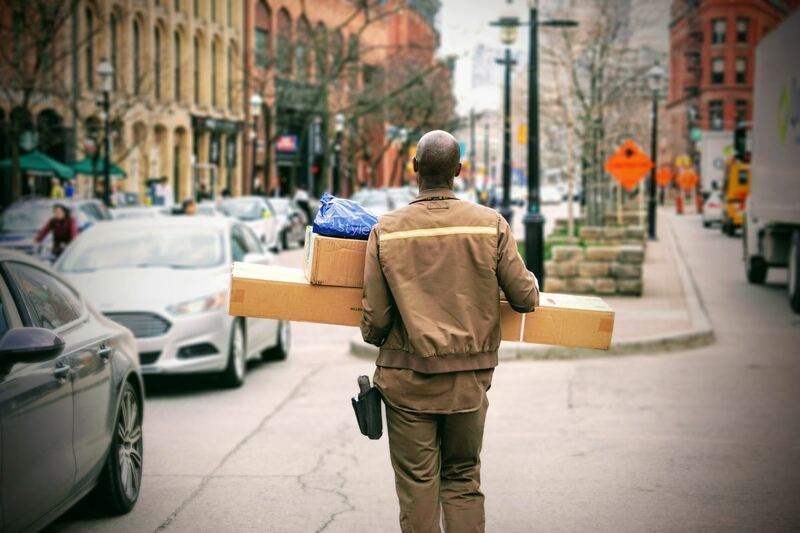 Many of the sites have an instant delivery option. 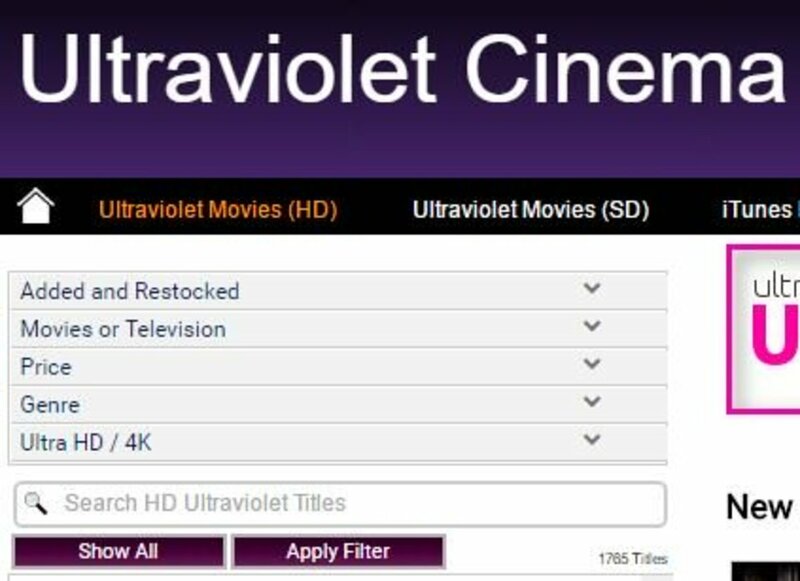 If you click on the "See full list of Ultraviolet Cinema stores" link, there will be a checkbox option that you can mark to filter out all results but those that offer the instant delivery service. There are also other checkboxes to filter for SD, HD, iTunes, and Disney Movie codes if you want to narrow your search for a specific resolution, genre, or format. Another feature I tend to take advantage of on this site is the price filter. The drop-down field for the price filter is located on the top left amongst the list of other filters you can choose from. This is a great way to see what kind of movies you can buy for less than $1 or $2 if you are just looking for something new and inexpensive. To browse through all the movies offered via Ultraviolet Cinema visit their website at www.ultravioletcinema.com or click on this link - Ultraviolet Cinema. My third option for getting movies cheap or at no cost is going to flea markets, consignment shop, thrift stores, Goodwill, or a friend. Thrift shops like Goodwill usually have a wide selection of movies, some of them which have unused digital codes. You can usually talk a store manager or owner out of the codes for less than $1 each or just buy the hard copy to get the code if it is cheap enough for you. Friends and family are equally good resources to get digital codes from, as many of them never even use to code if they already have the physical copy of the movie. Youtube users also have a chance at getting free codes. Several people offer free giveaways every week for a newly released movie. Most of these giveaways require you to subscribe to the person's channel, which doesn't cost you anything but your time. Of course, this is a very hard way of obtaining a digital code, but it is nonetheless a way. And finally, the least successful way I have acquired free digital copies is Google+. There are a few different Google+ communities that buy, sell, and trade digital codes. The one I am most familiar with is Ultraviolet Digital UV Codes (Buy/Sell/Trade). You can buy movies pretty cheap here too and most often find digital copies that aren't available for less than $10 anywhere else. To check out one of these communities you can perform a Google search or click here. I'd like to stress how easy it is to do all of the things I've previously mentioned and how much money you can save by switching to digital movies. I started my Listia and Ultraviolet movie accounts around the same time. Within the first month of being a Listia member, I built up about 250,000 credits without selling a single item, by completing various offers and surveys and watching video clips. During first two months, I was able to build a collection of 77 digital movies and tv shows for $0. Over the past 3 years, I have increased that total to about 400 titles by using Listia, Ultravioletcinema.com, and other resources and have spent less than $75 total. If you consider the average cost for a new digital movie is $15, I have acquired $6,000 worth of digital movies and tv shows for less than $75 over the last 3 years alone. 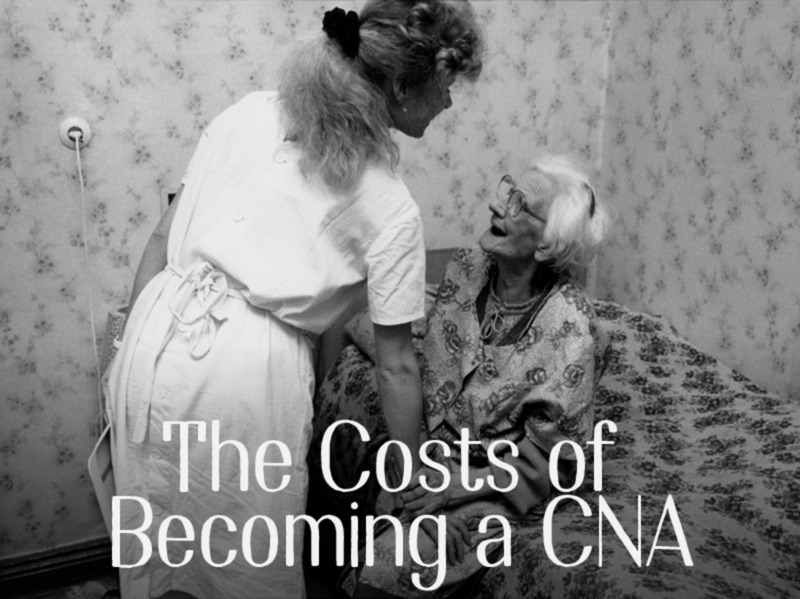 How Much Does CNA Training and Certification Cost? Platinum vs Gold Compared: Which is Better to Own? Do you have a List a invite code? Just wanted to help you out since this article was so helpful to me.